Give the gift of a prayer and a thank you! There he sat in his patrol car in the church parking lot. He was busy doing computer work and just being a safe presence in a not so safe neighborhood. He paid me little mind as I approached his car with a Christmas decorated cupcake and looked up with tired eyes from what he was working on. Johnny was the police officer's name and I handed him the cupcake and said, "Merry Christmas! Thank you for your service to our community." He told me that it wasn't always the easiest job and very rarely was he thanked for serving. We chatted for a minute and then I asked if I could pray for him. He immediately said yes and I prayed for him. For safety and blessing this Christmas season for him and his family and I just thanked God that he was serving through law enforcement. As I said amen and looked up, Johnny smiled and said thank you! It was the only gift that I could give him really. We sure don't have much but it was also the greatest gift that I could give him. A prayer and a thank you. We can all give that gift to someone this Christmas season. This is the "light of God" that we are working hard at sharing. Not just for Christmas time but as an intentional life's work. It may not seem like much but we all know that "little" things matter. Thank you for helping us to continually share the Light of God to others. 2017 has been a year of transition for us as we serve with Youth With A Mission in the states. Transition is hard but we know God is really giving us a heart for the inner city youth and kids and families that we are able to interact with here in Richmond. Weekly we interact with those in the area that don't know the gospel story and we get the privilege of sharing this amazing story of grace and redemption with those around us. Would you please pray about giving an end of the year donation to our ministry? As full-time missionaries with YWAM we must raise support through partnerships with friends like you. We can not continue to serve full time in missions without your financial and prayer support. We are thankful for this past year of serving the Lord as He sees fit. Often our journey does not look like we think it is going to but God is always a part of everything that we do. 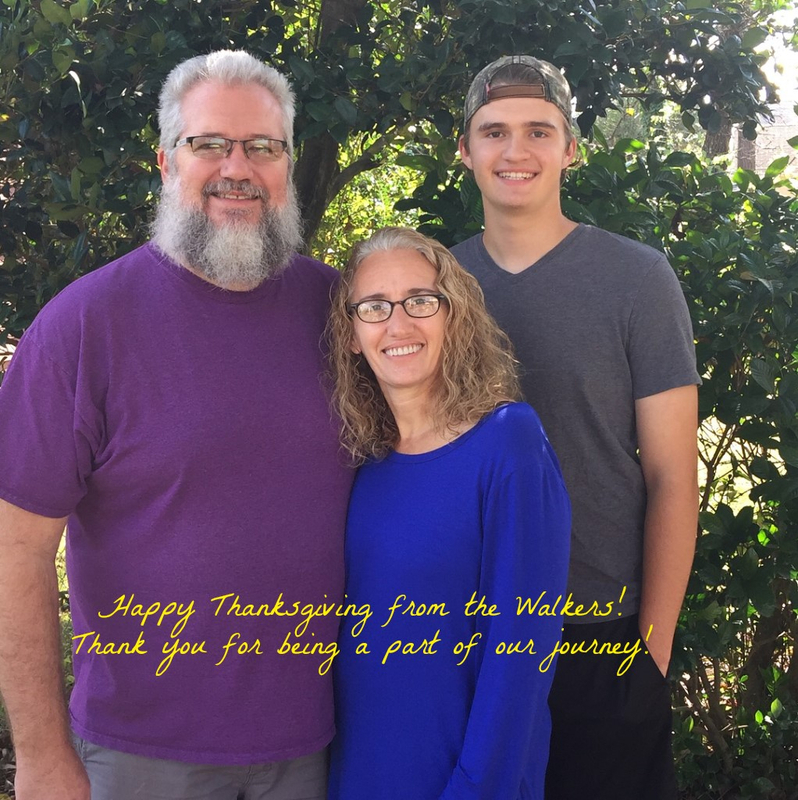 Ned, Debbie and Jesse are enjoying serving in Richmond with YWAM VA. Sammi is attending college and working in Cartersville, Georgia. Hannah is serving on staff with YWAM Mendocino in Albion, California. 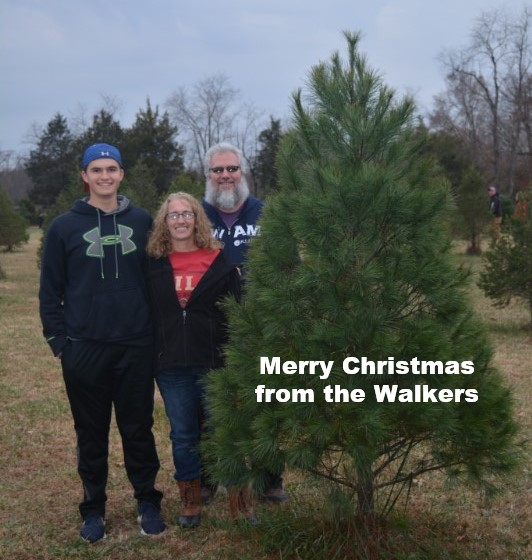 It is a different but good season as the Walker "children" all serve and learn independently but always with God guiding. Debbie teaches on value by using money. It is not what happens to the bill that determines it's value; it is the creator who sets the value of the bill. Your Creator determines your value not what happens to you. Marlon is a friend in Cuba who carries a $5 US bill around to remind him of this truth. He was the recipient of the $5 bill when Debbie taught in 2016. This picture was taken in 2017 when Debbie and Jesse were able to return again. 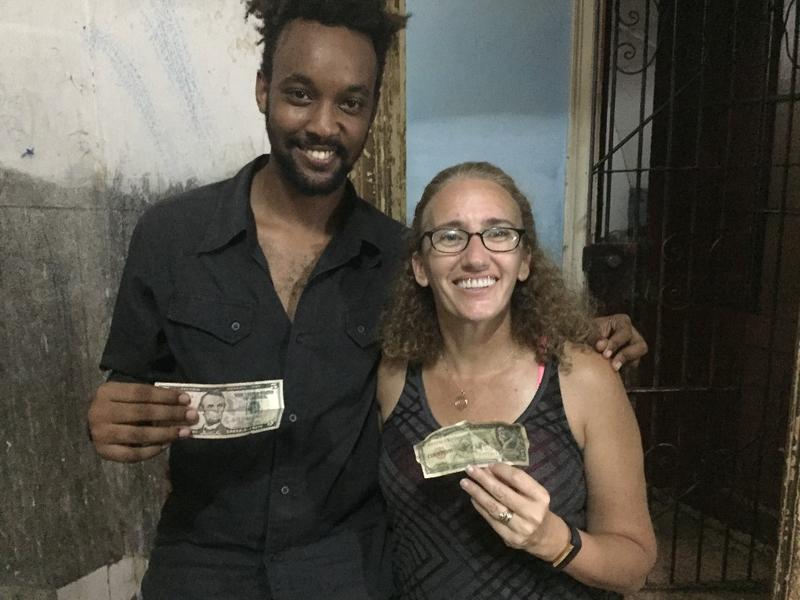 Marlon gave Debbie a $5 Cuban peso bill from before the current government's control. It is amazing how a small gesture can bring a change to someone's life and how they view themselves. Jesse loves sports and really loves baseball. He is working hard to use sports to glorify God and to build relationships to share the love of Jesus with others. 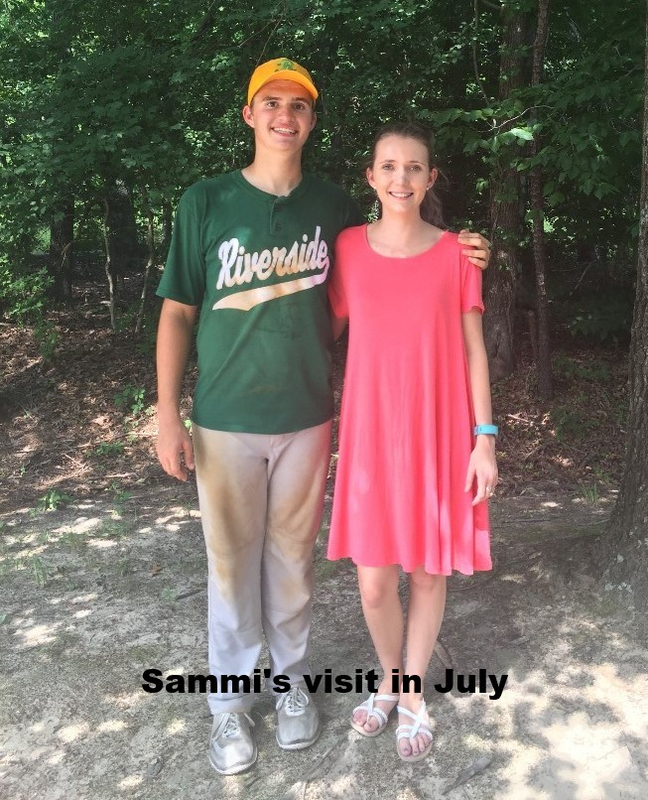 Jesse recently tried out for one of the best homeschool baseball teams in the state of Virginia. He made the winter workout roster and will start practices in January. Please let us know if you would like to sponsor Jesse as he plays baseball and uses sports to God's glory. Each Thursday we have the opportunity to impact the local youth and children at the local community center. We taught about building our lives on God's foundation. The young men especially love it when Ned comes and hangs out. 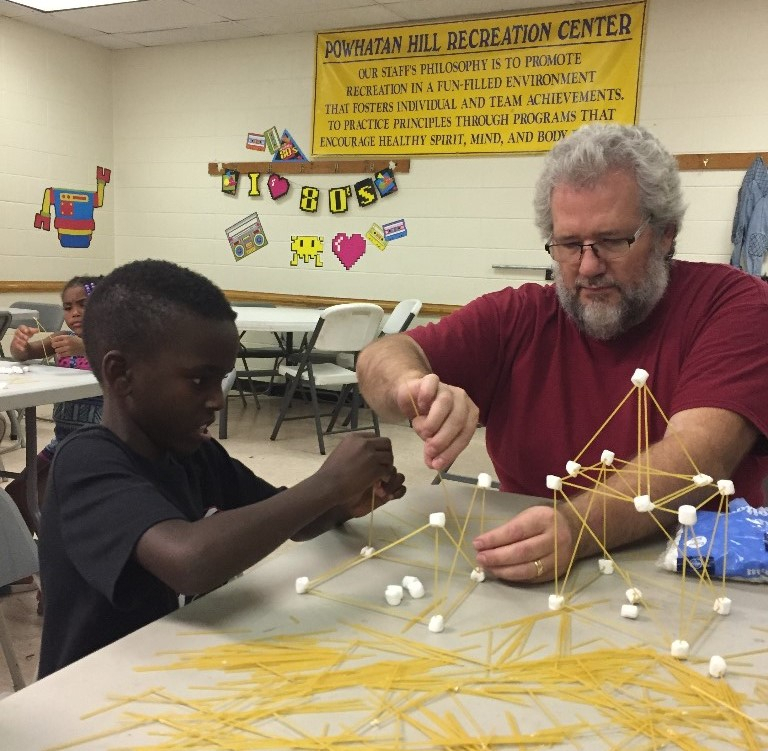 We made houses out of spaghetti and marshmallows and Ned's was the best along with some help. Ned is busy 40 plus hours a week in the admin office doing the finances for the base but also works to have an impact on the lives of those that don't have a regular father figure. Please pray about supporting us with your year end gifts. We are also in need of monthly supporters. Please help us meet an urgent need for help in the Caribbean. Urgent Opportunity to serve our friends in the Caribbean...please help. Cuba, the only communist country in the Caribbean, was hit hard by Hurricane Irma. Debbie and Jesse have an opportunity to go and serve our friends there. We are not sure what conditions we will find. We have been invited to come and bring encouragement to the friends that we met last May and September 2016. We know that electricity, internet, food and water have been very scarce since Irma hit a couple of weeks ago. These friends have become family and when they asked us to come and bring encouragement we feel like we should go and help. These are the same friends that Debbie was able to share the word with a year ago and has been invited to go and teach again. 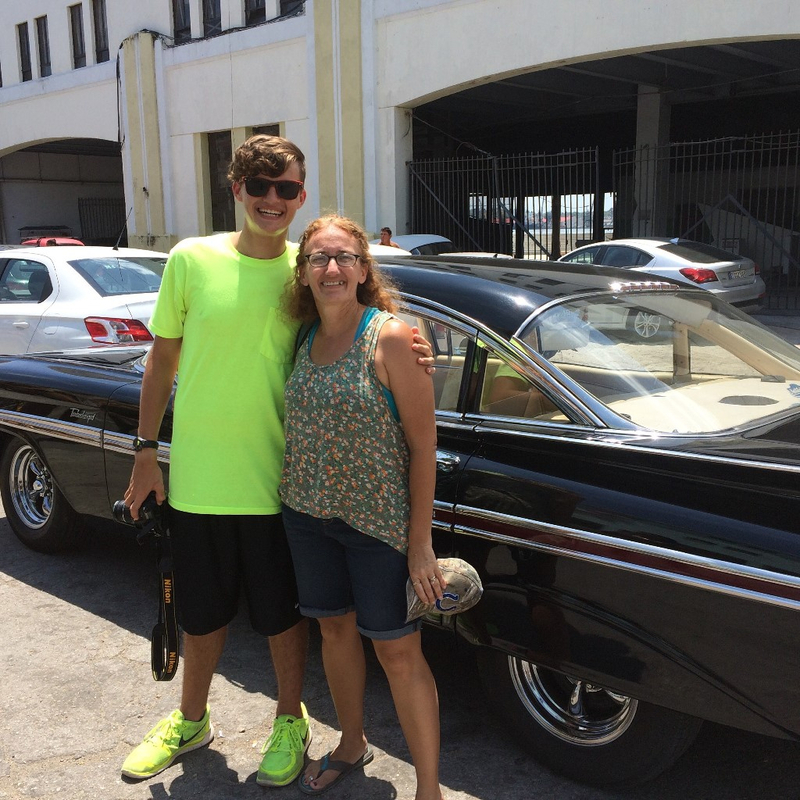 Debbie and Jesse are scheduled to leave Saturday, September 23rd. Due to the urgency and the time frame we are asking that you would consider giving via paypal or bank transfer. Email me at: dwalker.ywam@gmail.com or call me at 352-978-4418 for bank account information. Checks could be mailed to Walker Family 1509 Carlisle Ave, Richmond, VA 23231. We would like to raise a minimum of $3000 for tickets and to bless our friends. Thank you for praying for us and for partnering with us to help serve our Cuban friends!